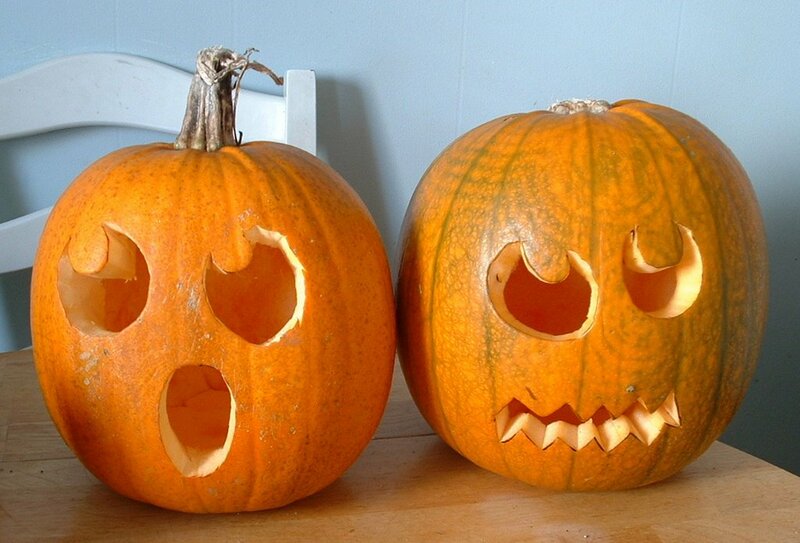 The kids carved these very scary jack-o-lanterns yesterday morning, and after a full evening of scaring the neighborhood kids it was on to bigger and better things for this pair. The one on the left seems to know what I’ve got in mind for him. Since they were so lovingly grown in my mother’s garden (I had no luck with my own pumpkins this year), I wasn’t about to just toss them on the compost or leave them outside for marauding pumpkin smashers to get their mitts on, especially when a single can of organic pumpkin can cost well over $3. So this morning I carved those babies up and turned them into puree. They must have been a good 10 pounds each when they came from the garden, and it took two full stockpots and two 9 X 13 pans to cook all of the flesh I got from them. I ended up with probably 4 to 6 quarts of puree that I’ve got to try and find room for in my freezer (frozen in 1 1/4 cup amounts for my new favorite cranberry pumpkin muffins). Anyone have any other great pumpkin recipes I should know about? 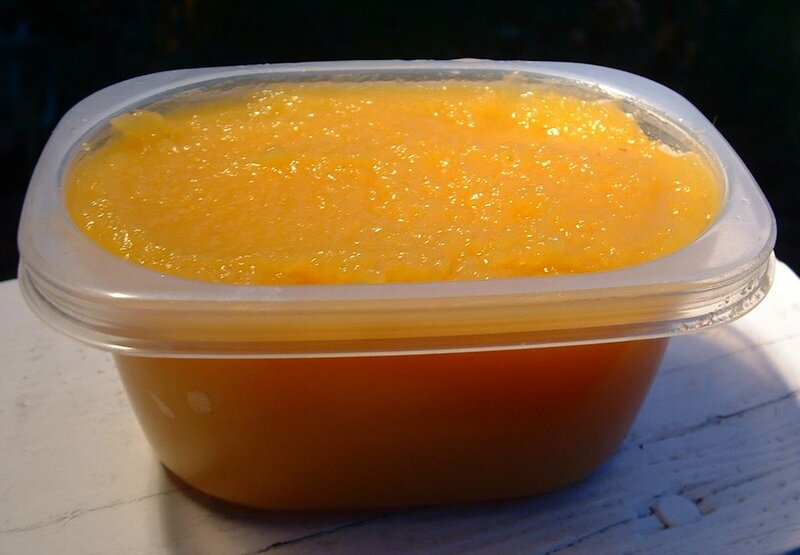 I have an excellent pumpkin recipe that I was thinking of posting in a day or two. We used to call it pumpkin pie, but it is really more like pumpkin mousse (aside from the graham crumb crust). It’s been a family favorite for years. Oh, I also meant to mention that the kids jack o’lanterns look great! Great job!!! Anon – Thanks for the link! Carla – I’ll keep an eye out for the recipe. And I’ll pass your compliments on to the kids! Have you tried canned pumpkin bread? It’s AWESOME! I know, more canning … just what you wanted, eh? Wendy – That sounds really cool! As soon as I’ve got some empty jars, I’m going to try it, my kids would love it.